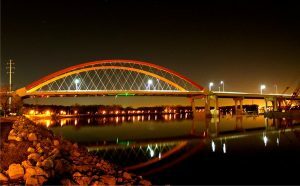 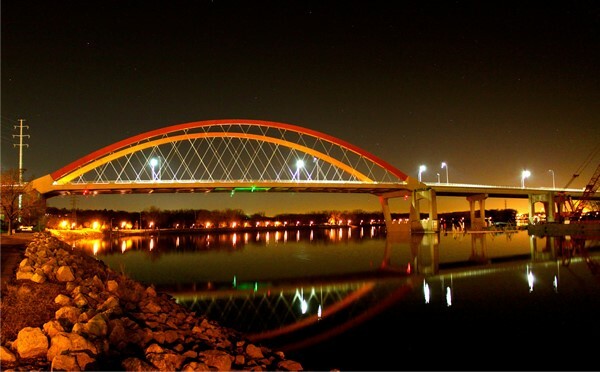 Description: The new Hastings, Minnesota Bridge is a 21st century landmark with a main span that boasts the longest free-standing tied-arch bridge in North America. 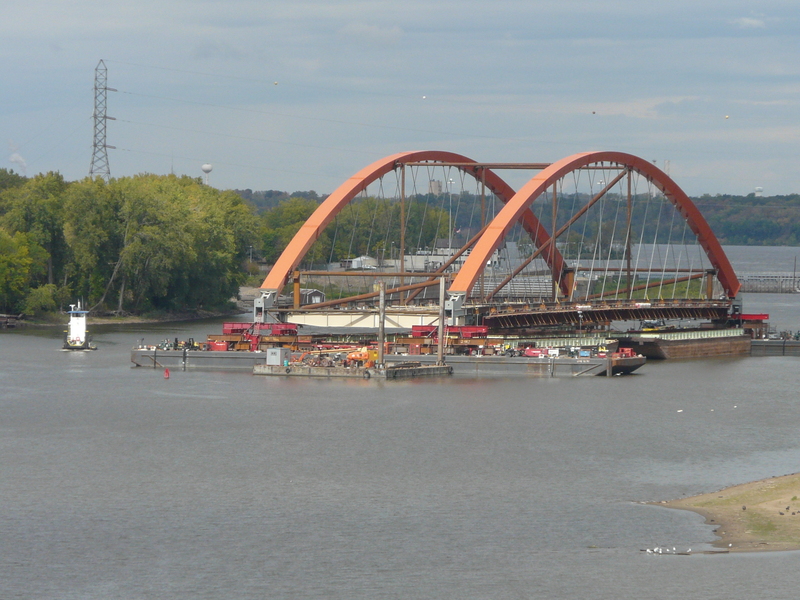 This crossing of the Mississippi River is a highly redundant and robust structure with an expected 100-year service life. 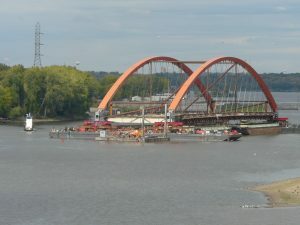 The main span was constructed on land on an adjacent staging area, moved onto barges with self-propelled modular transporters (SPMTs) and then guided downstream on a flotilla of barges. 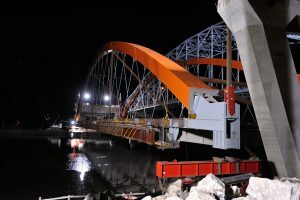 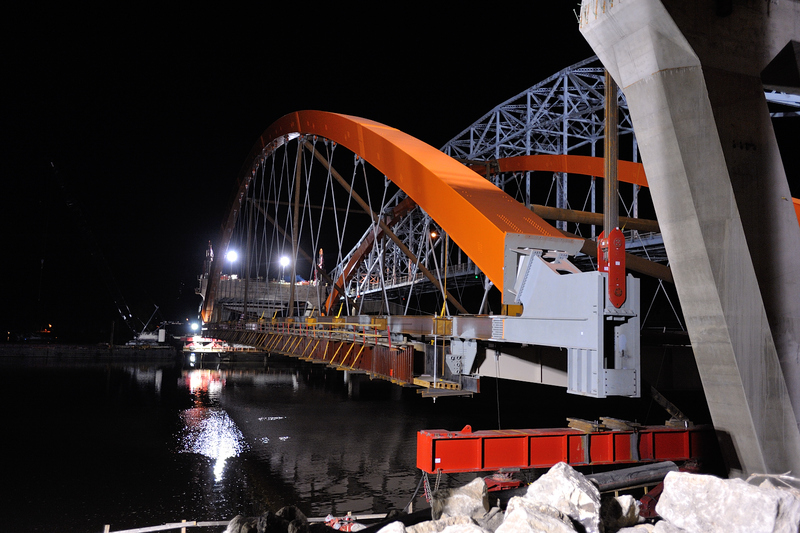 It was then positioned into its pre-lift location using a skid system and connected to hydraulic strand jacks that lifted the span vertically approximately 50 feet before making the final connection between the piers. 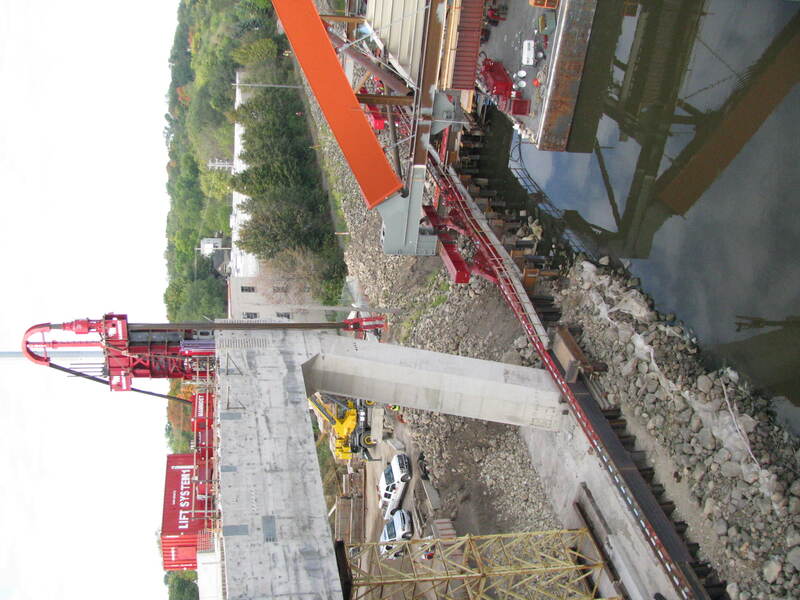 This $130-million-dollar project was delivered on an accelerated schedule using the competitive “design-build best value” contracting process. 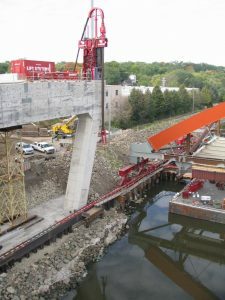 The presentation includes design and construction details and lessons learned.